Please note, all colours are provided as a guide only and will vary depending on individual screen/device settings. Annabel has a hand tied monofilament parting to the left side which looks as though hair is growing from the scalp giving a very realistic look. Easy styling of Annabel is due to the many mid length layers that fall so naturally into place. With many styling options to be had why not try tucking the layers behind one ear for an alternative look. 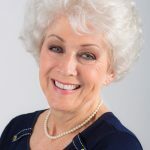 The nape area has ultra- thin velcro adjusters to allow you to tighten or loosen this wig for a comfortable fit. Annabel is available in AVERAGE head sizes. 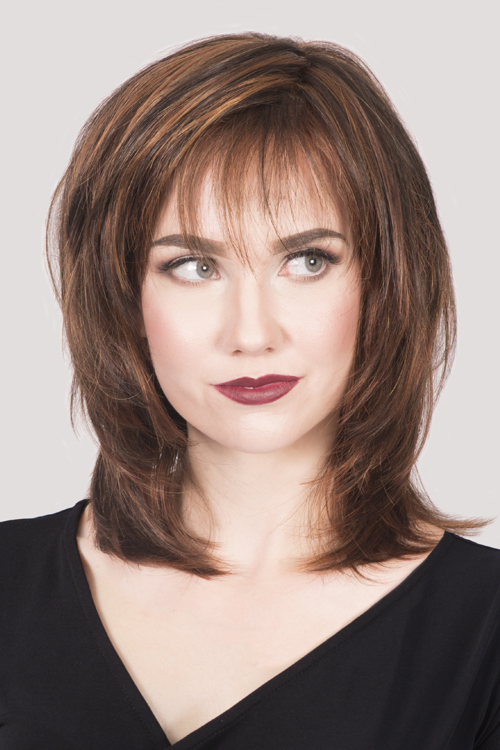 The Annabel wig is available in 10 colours including beautiful hilighted and special three colour trilight shades. IMPORTANT: This wig is size AVERAGE – please ensure that this is the correct head size for you before ordering! 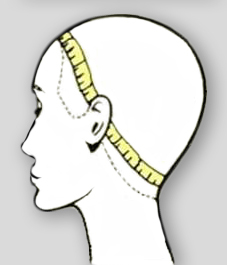 As a guide, we suggest you measure your head size by going around the head behind the ears, across the nape of the neck and round to the front hairline. If you don’t have a suitable measuring tape you can use a piece of string then lay this against a ruler. 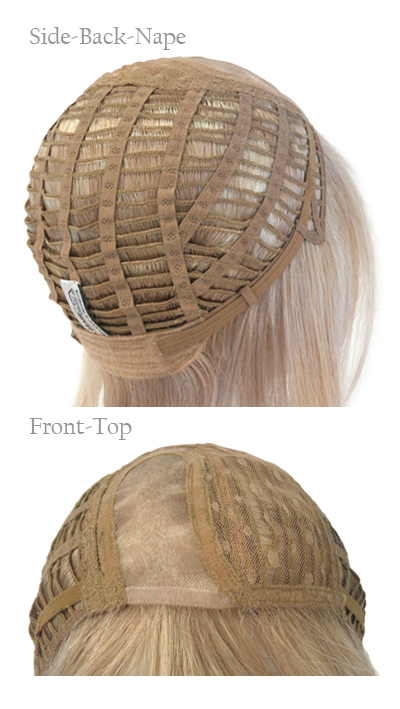 All our wigs are adjustable in size using ultra thin velcro adjusters in the nape of the wig. These allow you to tighten or loosen the wig to suit your individual head shape. Finely knotted hairs cover the front edge of Faith and hide the front edge of the base. Annabel has a side monofilament parting with fine strands of hair individually knotted into this monofilament lace area, this creates a very realistic parting. The remaining top section is close wefted and covered with a breathable open net creating a very lightweight and comfortable feel for the wearer. The use of finely under knotted hairs at the sides and ear tabs help to provide an invisible edge in these important areas of the wig. 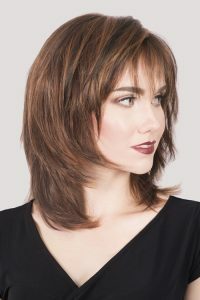 The back of this wig has an open STRETCH FIT that helps grip to the head and is both comfortable and adaptable to various head shapes. The nape area incorporates LAY FLAT ADJUSTERS on a soft velvet band for additional comfort. These adjusters enable the wearer to alter the size and feel of the wig to one which is most comfortable for them. Hats 4 Heads was set up in 2004 by our good friend Corinne after her sister lost her hair through chemotherapy. Like many others, she found it traumatic and the services that should have been readily available were non-existent. Not to mention the stress and humiliation of trying to discretely try on tight, uncomfortable hats to cover a rapidly balding head after a Well Known Department Store refused to let her use the changing rooms! For this reason, Hats 4 Heads aim to provide a wide range of hats and head wear with the requirement that they must be comfortable for people who have lost their hair through alopecia, cancer or illness. 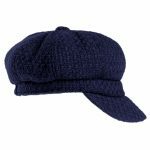 In all cases customers can try the hats on in the comfort of their own home without feeling awkward or embarrassed.